One of my favorite 'holidays' is coming up. Superbowl Sunday! This day is all about football, friends...and food! Here's a few of my gameday recipes that are guaranteed crowd-pleasers. 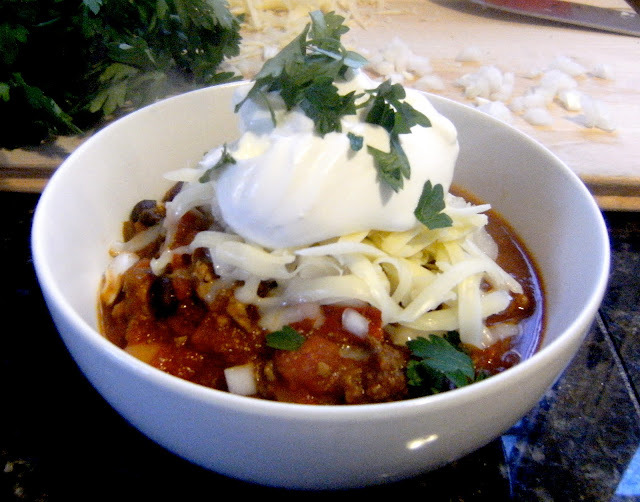 Award-Winning Chili. 3 meat, 3 bean, 3 alarm. Well, I'd like that to be it's tagline, but I need to add another meat to the recipe. For some reason, 2 meat, 3 bean, 3 alarm doesn't quite sound right. But maybe you could throw in some extra cayenne and dub it 2 meat, 3 bean, 4 alarm chili! Grown-Up Hot Ham & Cheese. 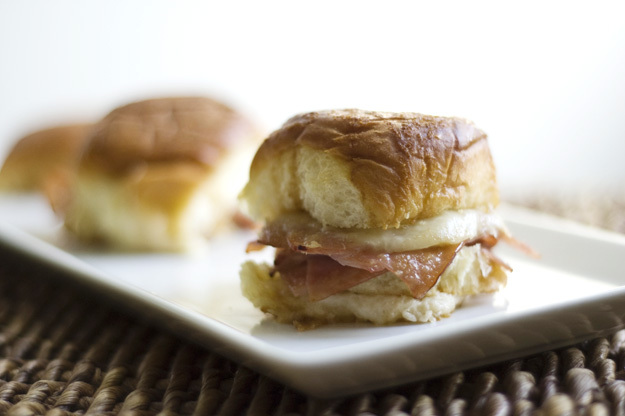 These little sammies will disappear off the plate the moment you set them down. 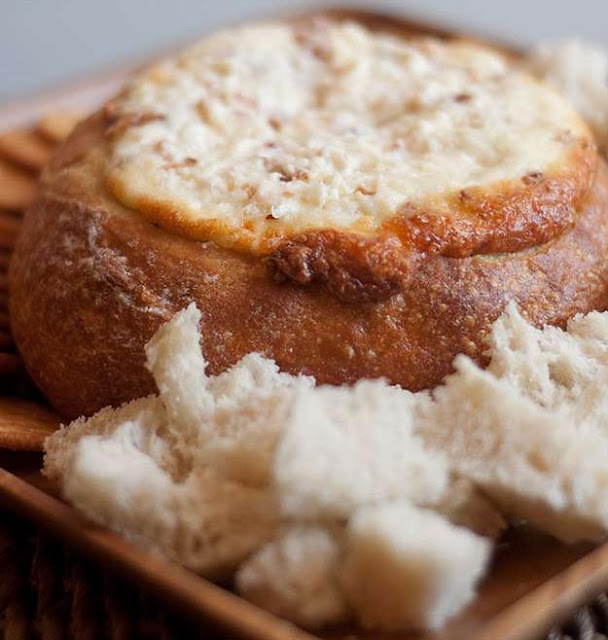 Hot & Creamy Bacon Cheese Dip. Boys and Bacon. Was there ever a more indestructible bond? 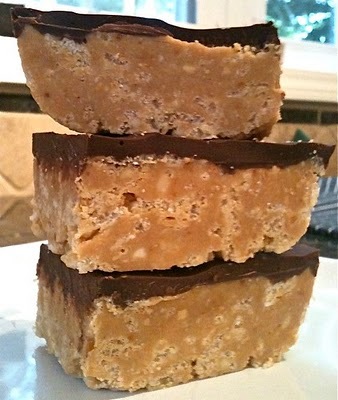 Crispy Peanut Butter Cup Bars. Light? No. Pure bliss? Absolutely. Peanut butter and chocolate belong together. And these bars are unbelievably easy, with only 5 ingredients. Neiman-Marcus Chocolate Chip Cookies. These bad boys are chocolate chip cookies on crack. 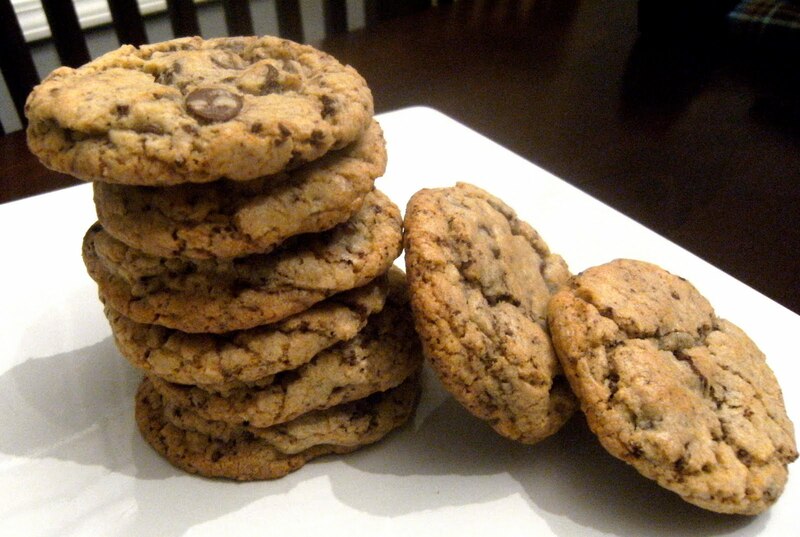 Ever since I've made these, no other chocolate chip cookie stacks up. Just ask The Stallion. French Toast and Bacon Cupcakes. These hot little puppies are met with more skepticism than I would have anticipated. I mean, they have bacon for goodness sake. I have a 100% conversion rate though; those that try them can't believe they ever doubted me. Or bacon.